David is the founder and CEO of TriPi Connected Tech, a technology startup, that connects people, process and place with a ground breaking digital work instruction platform leveraging AR and AI. David is also the co-founder, shareholder and COO of PTI QCS, an upstream automotive company that specializes in engineered powertrain coatings, quality and supply chain solutions. In this role David’s company has been recognized by ICIC (http://icic.org) in collaboration with Harvard Business School and Fortune Magazine as one of the 100 Fastest Growing Inner City Companies in America in 2013, 2014 and 2016. Prior to founding PTI QCS, David was the founder and CEO of Coalxico, a Mexican company dedicated to recycle aluminum, inspired by the opportunity to have a social impact with low income communities and substitute imports, David decided to apply this thinking in creating a recycling company. David holds a degree in Industrial Engineering by the Iberoamerican University in Mexico City and he is currently attending Harvard Business School OPM50 program. 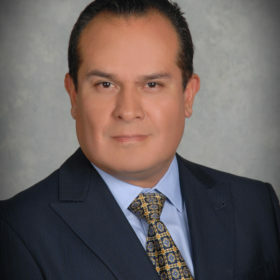 David has extensive experience launching and operating business in US, Mexico and Brazil. Building on his passion for sharing knowledge he mentors several entrepreneurs with special focus on high impact. As an avid Motown car aficionado, David enjoys motorsports actively and passively.